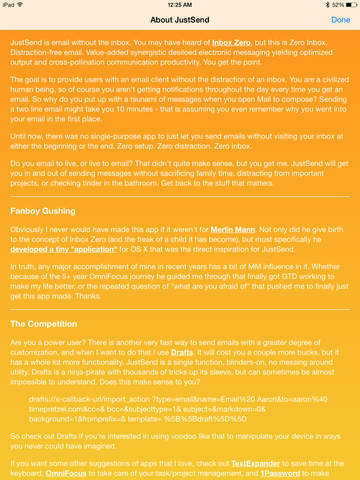 JustSend is email without the Inbox -- become the master of your email, and stop being a slave to your inbox! Do you get distracted when new emails come in? 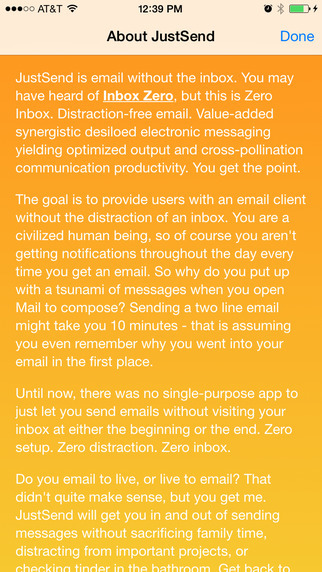 Do you feel like your inbox has taken over your life? Take back control and stop going through your inbox just to send an email. When you open the app, it will immediately take you to a compose window that has your accounts already setup. Send your email, and it asks if you want to send another. It will never take you to your inbox - just send your message and get back to your life! 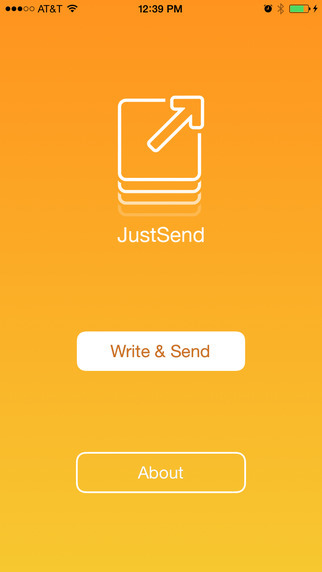 There is no simpler way to send emails without going through your inbox than JustSend. Use JustSend for sending emails with your Gmail, Hotmail, Outlook, Live, MSN, iCloud, AOL and Yahoo email accounts. It will work with any email address you have setup on your iPhone, iPad or iPod. ## Send multiple messages with a breeze! 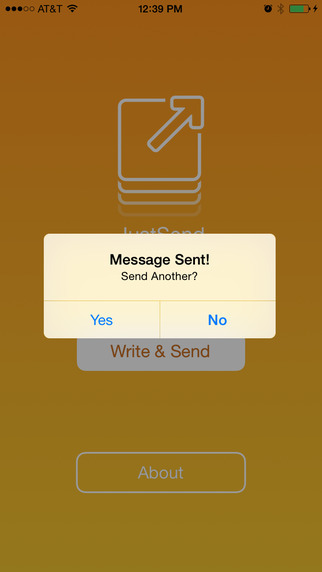 JustSend is a available on - and optimized for - both the iPhone and iPad. It will work on devices running iOS 7 and iOS 8. * As seen on: my iPhone and iPad. * From the creators of Dahlia and Judah (my kids).